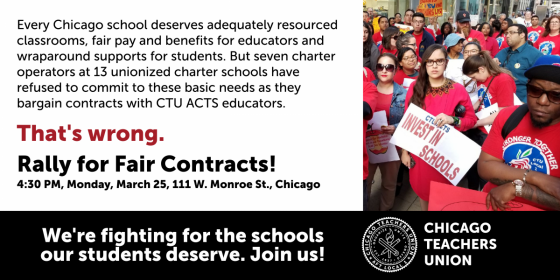 Teachers and staff at both charter and district-run schools returned to work this fall in full fighting mode for the contracts we deserve. Teachers and staff at more than 30 charter schools are fighting for new contracts. The current contract for educators at district-run schools expires in June of 2019. Educators at district-run schools won new protections in our 2015-19 contract around reduced paper­work, class size reductions, fewer standardized tests, job security, more grading autonomy, 15 minute preps, limitations on REACH, school staffing and other critical resources. 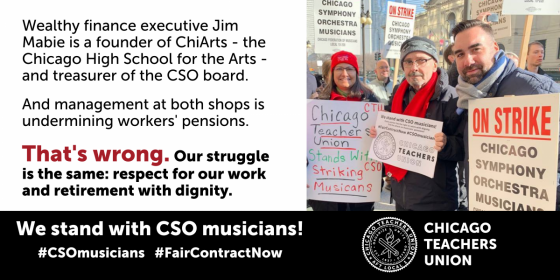 Our contracts and our unity give us the power to thwart administrators’ attempts to play us against one another and improve our working conditions so we can best serve our students’ needs. Our greatest power lies in our unity, when administrators know their staff won’t tolerate — and will fight collectively — against violations of our rights. An active Professional Problems Committee and unity among staff are key to making our contract work for us in each school. Together, in unity, we can win a better contract, better working conditions — and better schools. Whatever we do, we’ll do it together. You have a part to play. Every voice matters—including yours. No-one can tell your story or your school’s story like you can. Send the CTU a brief (15-30 second) video about what your classroom and school needs, and what your students could achieve if those needs were met. We’re composing an anthem—and every voice lifted and singing this tune amplifies our mighty chorus. Tell us your name, your position and your school. 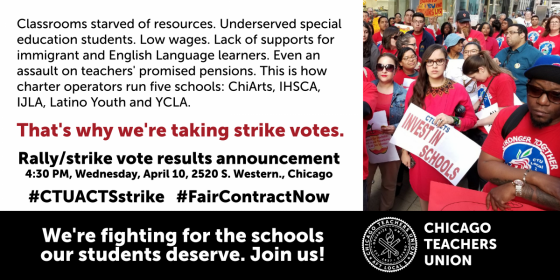 Tell us what you, your school and your students lack that we’re fighting for in the contract. Tell us what a difference it would make to students if they had what they need. We recommend that you practice what you’ll say before recording the video. Have a colleague shoot the video with the phone turned sideways (landscape mode). Don’t have bright or outdoor lighting behind you (avoid backlighting). If you show yourself from the waist or shoulders up and stand with a favorite part of your classroom or work area behind you, these finer touches make for an easy, high-quality video. Please prove you’re a human by entering the sum of one and one. Our Union is powerful if we are united and organized. 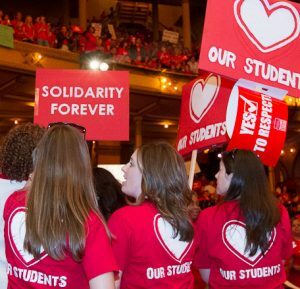 Click the links below for resources to help build union members’ unity and power at your school. Build Contract Action Teams, reach out to parents and community members, and wear red together every Friday. 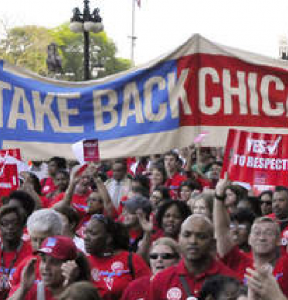 If we get strike ready, we can win a contract that will improve our schools and our lives. As we bargain a new contract for nearly 25,000 teachers, clinicians and PSRPs, many wonder where this process is going and what to expect. No one here has a crystal ball, but what we can answer, we have answered in this Q&A page.